We're going deep on the facts that you might now know. One of the biggest bands in our world, Fall Out Boy have been in the scene for over 15 years. So it stands to reason that you may not know everything there is to know about them. So we're taking you deep on some of the things you may know about Fall Out Boy. 01. Fall Out Boy once wrote a song for the Shrek soundtrack. It didn't make the cut, but it did make it onto 'Infinity On High'! So, surprise- 'Bang The Doldrums' could have been a song on Shrek. 02. 'Thnks Fr Th Mmrs' has no vowels because their label told them they needed to have shorter song titles. 03. Pete Wentz was the vocalist of Chicago-based metalcore band Arma Angelus before he formed Fall Out Boy (and Tim McIlraith from Rise Against was in the band too). 05. The story goes that Fall Out Boy named their track 'Our Lawyers Made Us Change The Name Of This Song So We Wouldn't Get Sued' after their lawyers were concerned over the name 'I Loved You More Before You Were A Myspace Whore'. UNTRUE; the track was actually called 'My Name Is David Ruffin And These Are The Temptations'. 06. They auditioned 19 unsigned bands to support on their 2007 Young Wild Things Tour (and ended up taking out Doug from November 09). 07. 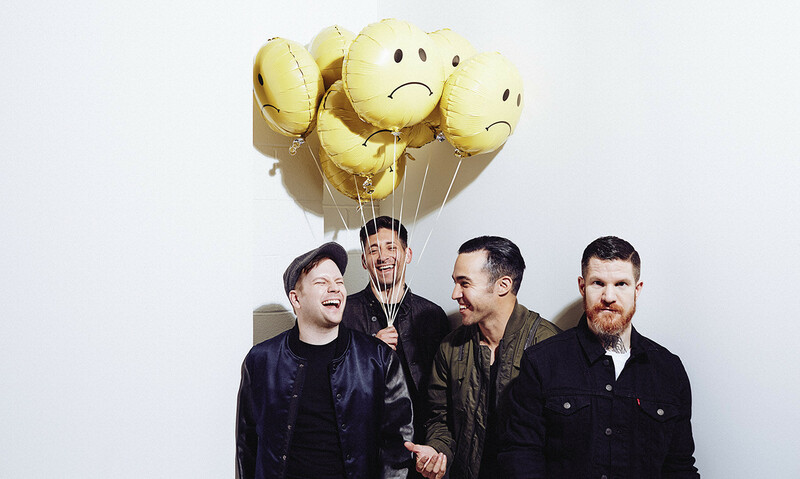 They've established their own charity - the Fall Out Boy Fund, which has so far seen them provide over 20,000 kids in the Chiago area with food education and organic gardening kits. NICE! 08. Patrick initially auditioned to be the drummer, but his soul voice saw him take on vocal duties. 09. In 2002 Fall Out Boy released a split EP with a band called Project Rocket- who Andy Hurley was a member of at the time. 10. Pete and Patrick hold the world record for the number of interviews performed by a duo in 24 hours. They managed to knock over 74 interviews with radio DJs within a single 24 hour period, and despite beating the old record of 57 interviews after ten hours they decided to continue the stunt for as long as possible. 11. They had to get permission from Uma Thurman to name their song 'Uma Thurman'. Speaking to Rolling Stone, Pete shared "A lot has changed since Outkast released 'Rosa Parks', we might have been able to get away with it under parody law, but we don't know many lawyers. We do have a ragtag bunch of friends and someone was able to get it right to her and explain the vibe". 12. They once raised awareness for blood drives for victims of Hurricane Katrina in 2005 by giving away posters signed with their own blood (yup, really). Speaking about their decision Patrick shared "These disasters don't last just a year, there are still people living in the aftermath of the tsunami and the aftermath of Katrina. It's in times of low publicity on blood drives that people really need blood." So much to know about Fall Out Boy. So much to know. What a band.